Earlier in the year, the tepid box office returns were something to be ignored, as 2011 was competing with the previous year, with both “Avatar” and then the anomaly of “Alice In Wonderland” each raking in a cool billion. Well, it’s April, and it’s time for Hollywood to panic. 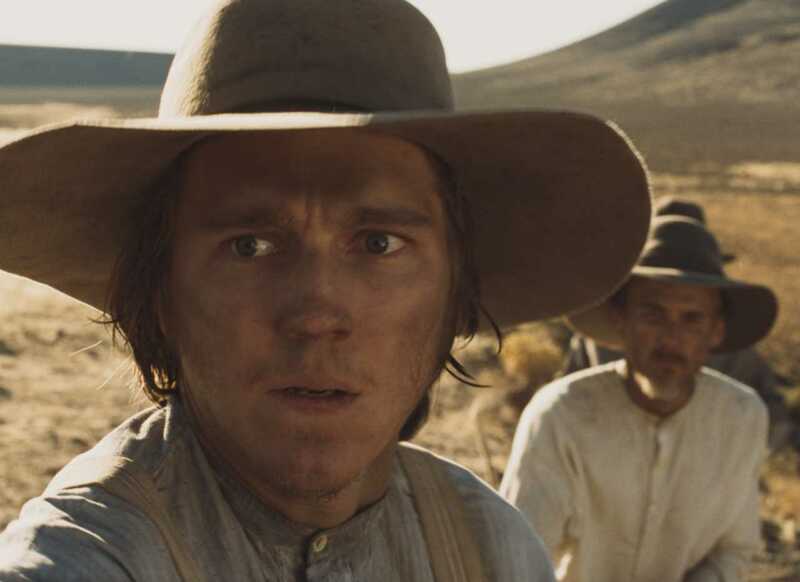 There have been no genuine out-of-the-box hits so far this year and lots of flops, and the two (barely) $100 million grossers considered underperformers (“Rango” and “Just Go With It”). Let’s face it, part of it is a failure of marketing, but the blame must be laid on inadequate product. Even when it comes to the early year doldrums, this has been a banner year for garbage. This weekend seemed indicative of Hollywood’s off year with four new films tepidly taking on incumbent number one “Hop.” Being a (partly) animated family film, the Universal release won the weekend easily with $21 million, as that genre continues to be bulletproof at the box office. But the film, clearly a secondhand product, lost about 42% of its audience from weekend one, not the usual kid flick hold. Conventional wisdom says that the Easter-themed offering will have legs throughout this month’s holiday, but this coming weekend also sees the debut of potential behemoth “Rio,” an animated offering from Sony and Blue Sky, who were last responsible for the billion dollar (really) “Ice Age: Dawn Of The Dinosaurs.” Universal should be happy the film’s gross has already surpassed the production budget, but the film is already registering feeble returns overseas, and isn’t nearly the earner that their previous animated offering “Despicable Me” proved to be. Barely beating out the other newcomers was “Arthur,” which came in way below expectations. It’s all about perception, of course: though the recession ended awhile ago, the perception of our nation’s financial struggle has continued due to the dithering attitudes of our government, so an exorbitantly rich, smug protagonist wasn’t going to gain much traction in the marketplace. Of course, that didn’t stop Warner Bros. from wallpapering the planet with ads, a strategy that looks like a huge financial miscalculation. 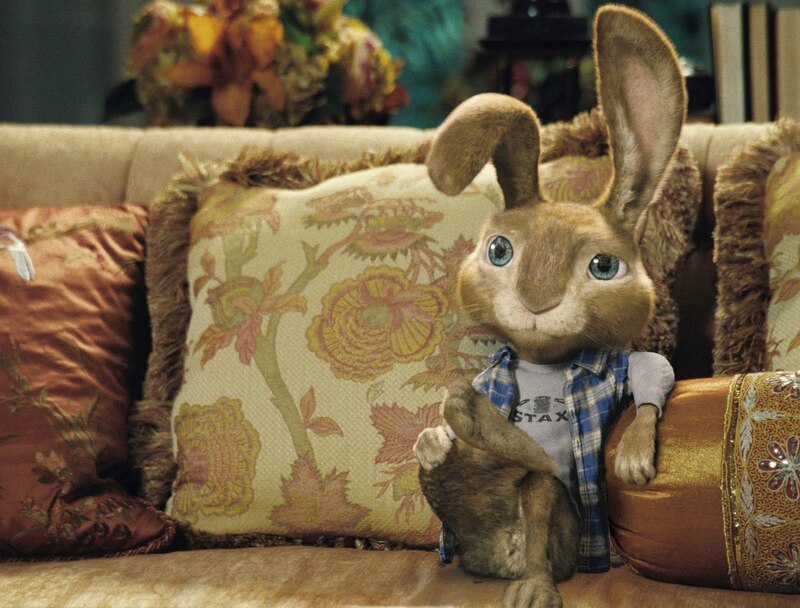 Again, perception matters: star Russell Brand (who will likely return to supporting actor work) will gain some brief cachet to having the top two films at the box office (he provides the voice of the lead bunny in “Hop”) but that will be short-lived, as there’s a fine line between exposure and overexposure. The lowest-profile wide release of the week was “Soul Surfer,” which Sony seemed to market quietly and exclusively to the heartland. The bad news for Christian moviegoers is that Christianity, long the default religion for American film protagonists, has been relegated to niche films. The good news is that, hey, everything’s a niche these days. “Soul Surfer” supposedly revolves heavily around the protagonist’s relationship to the Bible, which has become a turnoff for some viewers, though they should recognize the true blasphemy of director Sean McNamara still generating paychecks. As a result, because some people are easy to please, “Soul Surfer” registered an A+ Cinemascore, suggesting that there’s a core audience for this film that boosted the opening tally. The second weekend take should be interesting, in that it will prove if “Surfer” can cross over with regular audiences, though it’s sure to hold better than this weekend’s other releases. Surprising everyone with the week’s strongest hold was “Insidious.” Huh? Yeah, really. Horror pictures usually fall off the face of the Earth in weekend two, but “Insidious” lost about a quarter of its audience. Must be strong word-of-mouth for the scare picture in a depleted marketplace, though it says a lot about the industry that this was the week’s biggest surprise. “Insidious” was unquestionably the cheapest offering in the top ten (a tad over a million, apparently) and is nearing $30 million after only two weekends. Might as well get their hits in now, as “Scream 4” is tracking to do huge summer tent pole-ish numbers next weekend. 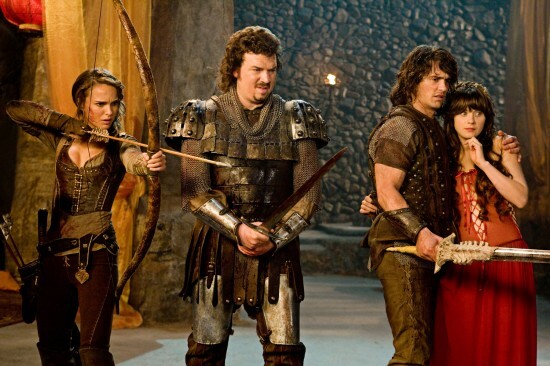 The week’s biggest flop has to be “Your Highness.” When Universal brought Danny McBride, James Franco and Danny Gordon Green aboard, they thought they had another “Pineapple Express” on their hands. When they realized this was something a bit quirkier and unusual, they adjusted expectations to a $20 million or so opening. And once marketing couldn’t find its stride (“is this a spoof or isn’t it?” being a common problem for niche comedies), Universal booked this film in the appropriate amount of theaters, essentially ceding the weekend to “Arthur.” Discussed for several years now, “Your Highness” is a case study in how enthusiasm can deflate so much between the inception of a film and its release. At this rate, the picture will be lucky to do half of what “Pineapple Express” was able to manage. Maybe a quarter. “Your Highness” had several obstacles to overcome, of course. Overexposure is an ugly word, but during filming, Universal could not have anticipated that Franco would be everywhere, or that Natalie Portman would be starring in six 2011 releases. And the ugly truth has to hurt: there is the suggestion that audiences looked at McBride and said, “Oh, this guy again?” Positioned as a leading man for this film, McBride is too prickly and unattractive for mainstream audiences who are used to their portly leading men being jolly/retarded (Kevin James) or at least eccentric (Zack Galifinaikis) and not outwardly crude and unpleasant. As it currently stands, with “Eastbound And Down,” McBride is more of a TV star than a moviestar. Yet another geek gamble for Universal that backfires miserably. “Source Code” continued to perform up to Summit’s optimistic projections. The Jake Gyllenhaal thriller also posted a pretty strong hold below 40% and like “Insidious,” it could lap this weekend’s newer pictures within a few days. This likely gets Duncan Jones on a few more shortlists than he already was, though if it’s to be believed, apparently Fox is begging him to take the “Wolverine” gig. This is going to do only a small percentage of what “Prince Of Persia” pulled in, but it also gets Gyllenhaal a few more leading man gigs, even if he’s not as popular over here than he is overseas – after the early returns, “Source Code” looks very much like his third straight film that will do way more business internationally than aboard. “Limitless” continues to hold strongly, the film landing at $64 million after a month in release. The Relativity release has already long eclipsed the newer distributor’s total output combined, so right now the film is in victory lap mode, with a final tally close to $80 million a distinct possibility. Contrast that with the smash-and-grab approach of the “Diary of A Wimpy Kid” series, the latest likely to top out at $55 million or so after falling steadily from each weekend following the massive debut. And it’s certainly a possibility that “The Lincoln Lawyer” could stick around one more week in the top ten as the film approaches $50 million. DVD will determine if Lionsgate has a franchise on their hands with this success, though titles like this eventually prove to be popular rentals. In limited release, “Win Win” continues to bring in audiences. In week four, it brought in $1.2 million, bringing its total to $3.5 million and counting. It managed to outdraw two newer pictures with weaker per-screen averages, with both Disney IMAX’s “Born To Be Wild” and Lionsgate‘s “No Eres Tu, Soy Yo” pulling in $850k and $600k on over two hundred screens each. “Meek’s Cutoff” debuted with $22k on two screens, while the documentary “Blank City” gathered $12k on only one NY screen, the week’s best per-screen. Other indie debuts include “Meet Monica Velour,” which nabbed $8k on two screens. A weaker two-screen result belonged to “Henry’s Crime,” the Keanu Reeves starrer that only collected $7.5k on two screens, and “American: The Bill Hicks Story” mustered up $6.8k at one engagement. These meager successes were somehow more respectable than the weekend’s widest expansion. Yes, it was the seven-week old “Drive Angry 3D,” which Summit felt the need to put in 104 new locations (126 in total). The film, which hasn’t yet reached $11 million domestic despite early DVD ads trumpeting a $12 million total (really), averaged $429 per-screen. Mmhm. Support your local arthouse, boys and girls.